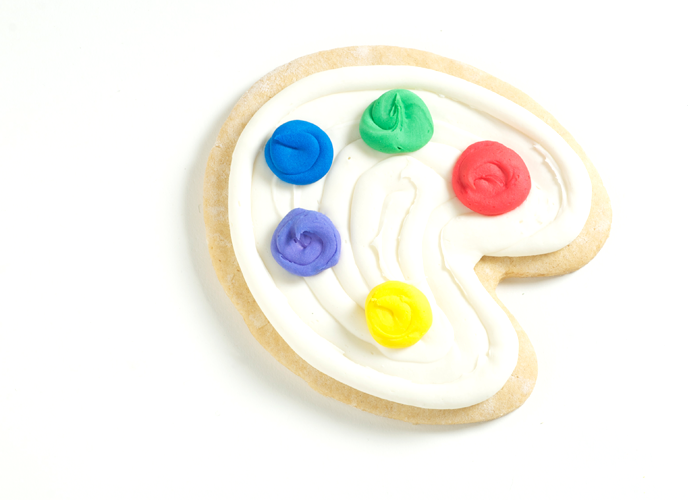 Flour, baking soda, butter, sugar, egg, vanilla extract, may contain icing. This product may contain eggs, milk, soy, wheat, nuts, and peanuts. 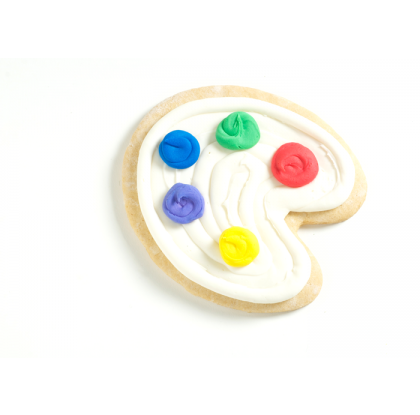 A Paint Pallet-shaped cookie with smooth royal icing.